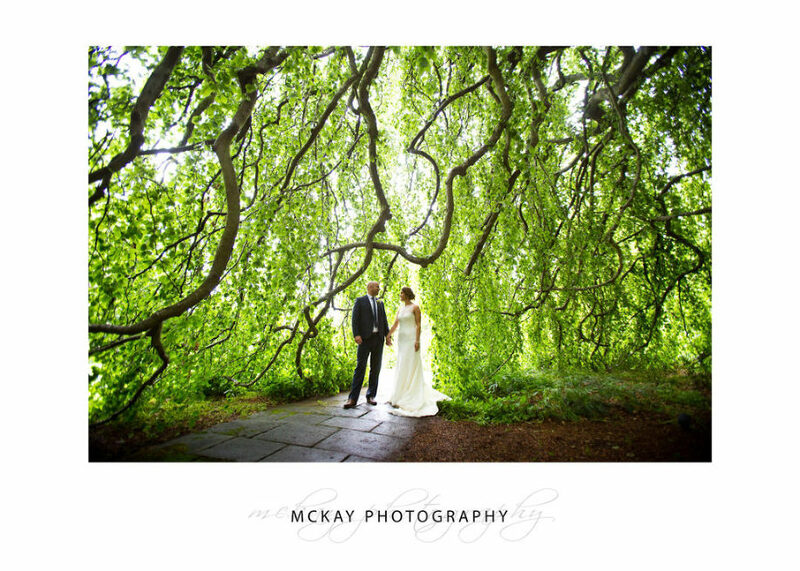 Mel & Dave had an awesome day at Milton Park in Bowral! The rain was on and off all afternoon and caused some anxious glances at the sky, but thankfully we got through most of the ceremony without it being too wet. Rachel Harman was the celebrant and did an amazing job. 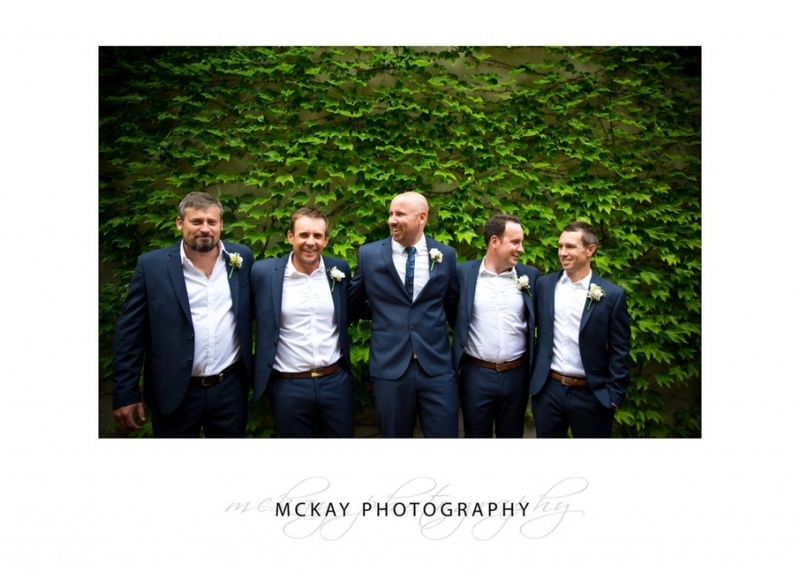 The boys got ready earlier on at Links House in Bowral and the girls on site at Milton Park. 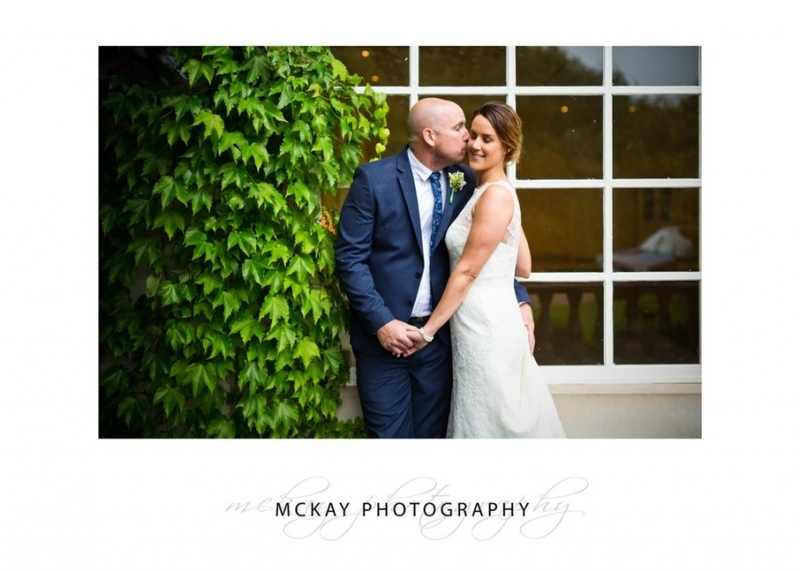 Once it was decided the rain would allow an outside ceremony things got quickly underway – Mel was walked down the aisle by her Dad and you could see how much it meant to both of them. After the ceremony we made use of Milton Park’s extensive gardens – it’s an awesome place with so many locations for beautiful photos. The Pool House is a good spot with green ivy on the outside and some awesome reflections inside. The reception was in the Baillieu Ballroom – it looked amazing. The night was a lot of fun with some great speeches and lots of dancing, before Mel & Dave left to a balloon farewell.